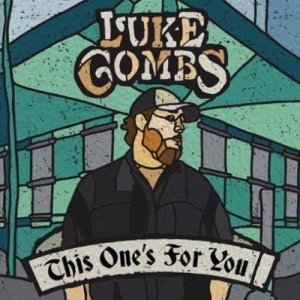 “One” may be the loneliest number, but Luke Combs is getting used to it now. One month after Luke’s debut single, “Hurricane,” enjoyed a two-week stint at No. 1 on Billboard’s Country Airplay chart, his debut album, This One’s for You, reached No. 1 on Billboard’s Top Country Albums chart this week. This One’s for You sold 43,000 equivalent units, according to Nielsen Music, which was also good enough for the No. 5 spot on the all-genre Billboard 200.